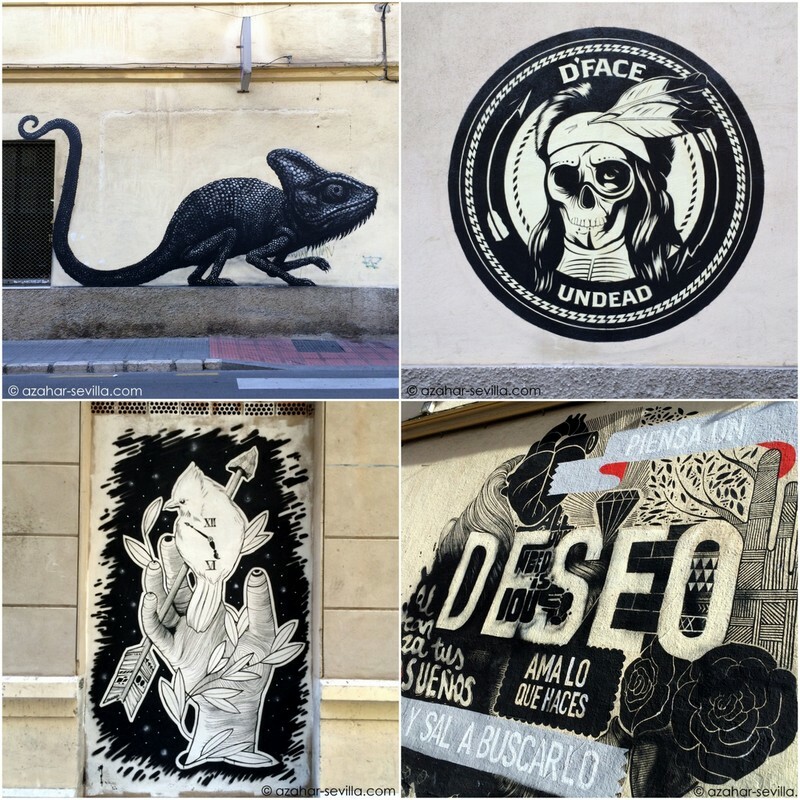 Something’s happening out in the street, and in the SOHO district of Málaga, it’s street art. 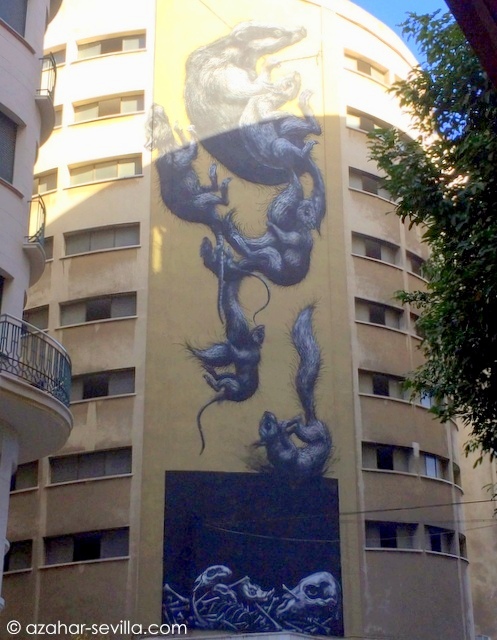 From doorway size paintings to seven-storey high murals, post-graffiti artworks are appearing on walls all over the SOHO district of Málaga. But why there, and why now? Soho is the triangular shaped neighbourhood sandwiched between the Alameda, the port and the river like a wedge of cheese. In the nineteenth century it was a prosperous middle class suburb (and still has some very fine buildings from this time), but over the last fifty years has become increasingly run down, missing out on the kind of urban renewal that first the new city centre, and later the historic centre, benefited from. Partly because the new Contemporary Arts Centre was located there in 2003, the initiative to regenerate the area that was launched six years later revolved around making it the artistic centre of the city, and was backed by both the city council and private funds. Some of the artworks that have been created by both local and “guest” artists as a result are certainly impressive and colourful. 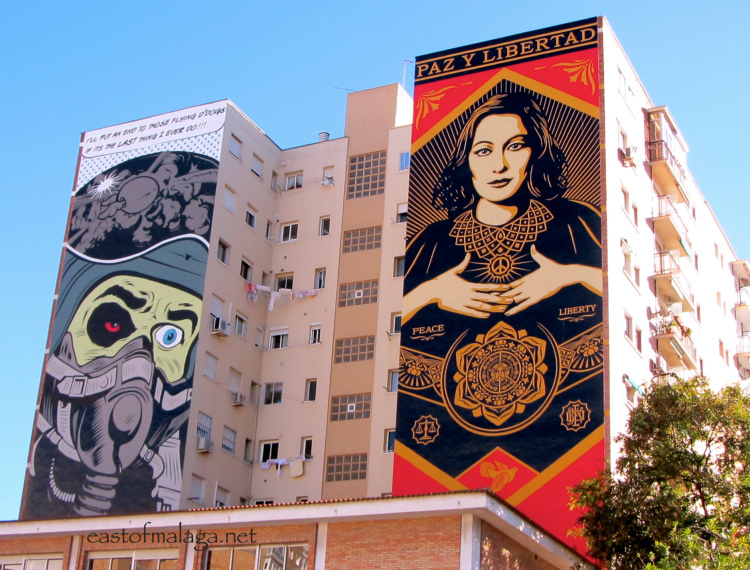 Among the best known contributors are the UK’s Dean Stockton (D*FACE) and America’s Frank Shepard Fairey (OBEY), who created the two big seven-storey high murals behind the CAC, and Belgium’s ROA, whose chameleon and tumbling rats seem to be among everybody’s favourites, as well as Dal East from China. Local artists include emerging talents Jose Luis Puche and Dadi Dreucol. The brightly coloured graffiti-style art has certainly made the area more interesting – and attracted tourists and their money. It will be interesting to see how successful the strategy is in the long term, and whether it revitalises the local community. Is there a building mural of a cat (by Japanese artist Takashi Kuge) near there in Soho ? A friend overseas needs help finding it. If you know the address, please post.